Verizon today announced that the new Palm will be available exclusively on the Verizon network starting November 2nd. The new Palm, yes they are simply calling the new device Palm, will come in two color models - Titanium and Gold – for the full retail price of $349.99 or $14.58 per month for 24 months on device payment (0% APR). Additionally users will be required to utilize Verizon NumberShare at $10 per month per line. The new Palm is being billed as a companion to your smartphone. The credit card sized device is meant to keep you connected while also allowing you to "live in the moment." It syncs with your existing smartphone via NumberShare and runs Android and Google Play applications such as Apple Music. "Creating a smaller smartphone would have been easy, but Palm is unique in that it augments the smartphone in a special new way," said Brian Higgins, vice president of device and consumer product marketing at Verizon. 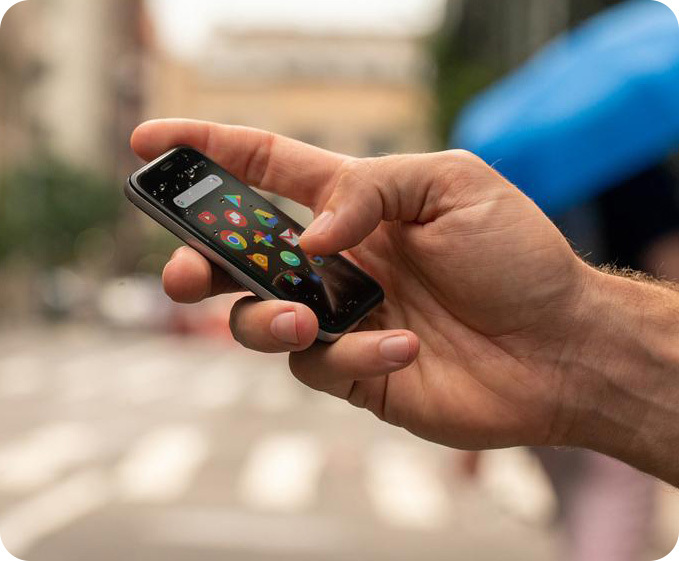 "Palm and Verizon set out to reinvent something in a smaller form factor that allows you to connect with only what matters."